This October, the Synod on Young People, the Faith and Vocational Discernment has been convened at the Vatican. We offer this pastoral letter on campus ministry as a contribution to the discussions taking place at the Synod. Beginning with our first campus ministry at the University of California at Berkeley, we sought to pastor Catholics at public universities and also to engage in a dialogue on faith, culture and the world of ideas. Soon thereafter, Paulist Fathers were invited by other bishops to secular campuses in their dioceses. Whether it is at the Catholic chapel for daily Mass, discussing faith with a student at the coffee house, cheering with the Newman Club members at the football stadium, or attending events at the student center, Paulists seek to build up the Body of Christ. As missionaries, we strive to exude a spirit of welcome to all we meet, seeing Christ in every person we encounter. We are keenly interested in those who are not in the pews on Sunday, especially those no longer interested in practicing their faith, or those on the margins of church and campus life. We also invite the spiritual seekers to learn more about Catholicism, presenting our timeless faith in fresh, new ways. We nurture communities of campus Catholics to develop leadership skills so they can collaborate with us in our outreach and evangelization efforts, and go on to be leaders in Church after graduation. Given our depth of experience and training as campus ministers, we seek to mentor young missionaries from organizations such as FOCUS and St. Paul’s Outreach who partner with us in evangelization efforts, helping them to be more well rounded in their formation as lay ministers and young adult Catholics. Finally, Paulists seek to engage the entire campus community. Paulists are deeply involved in ecumenical and interfaith dialogue, always looking for ways to bring together people of different faith traditions to collaborate on important issues of peace, justice, and service. Paulists work with university administration to advocate for the spiritual needs of the students and faculty on campus. We also consult with administrators, faculty and students about campus issues of mutual importance. In the essays that follow, my brother Paulists (most veteran Catholic campus ministers) will examine our approach to campus ministry in depth: how it relates to our overall Paulist mission of Evangelization, Reconciliation and Ecumenical and Interfaith Dialogue and how it can be a model for all who serve in this very important ministry to our church. By Fr. Bernard Campbell, C.S.P. The Church, as described by the English Catholic theologian Nicholas Lash, is a kind of school that enables people slowly and with not a few mistakes along the way to become a people of hope, of astonishing courage and ardent seekers of the truth. Such an understanding of Church, so resonant with Vatican II’s affirmations of the Church as a kind of sacrament of both the unity in Christ and unity with the whole human family, can well serve as a vivid model for ministry in the 21st century, especially among young people attending colleges and universities. Focus for just moment upon the phrasing “enables (young) people slowly and with not a few mistakes to become people of hope, courage and seekers of truth.” Many young people, taught too narrowly by our world, are fearful of taking a class outside of their chosen major where their competency and interest is untested. A poetry class or perhaps a class in physics would put them in danger, they fear, of losing some fraction on their grade point average or the possibility of losing some tuition support. “Play it safe” goes the received wisdom. Never make a mistake, never learn the suppleness of language or the mysteries of quantum physics. That school — of learning to be courageous, of learning that it’s OK to make a mistake and of holding to the power of mercy and compassion — is the church’s mission to young people. That mission is grounded in respect for the entire university community. We can never forget Jesus’ instruction to the 72 disciples in St. Luke’s Gospel as he sends them on mission. “Remember,” Jesus insists, “the harvest is great … “. God’s grace is present in the minds and hearts of students, faculty and administrators long before we appear. The awareness of the priority of God’s grace is embodied in the minister and community in respect and dialog, which may be aptly described as the capacity to turn our transmitters down and our receivers up. The church as a school is the place where all of us, including young people, learn of their unity in Christ and with one another, a unity that promotes listening within the university community about our varied wisdoms and practices. Hans Kung’s oft repeated assertion, “no world peace without religious peace” can have application in the university setting. A highly respected university oceanographer, Roger Revelle, once described the university as a collection of academic interest groups (departments and programs) united only by a heating and cooling system. Faculty from different departments rarely talk seriously “across disciplines” to one another. Religion, so often seen by the academy as divisive and self-interested, must make the effort to set an example for dialog and cooperation. Bringing together students and faculty to listen to one another around important issues, e.g. global warming, racism, visions of justice and peace and yes, how their religious faith may inform and deepen those visions. A group of campus ministers, who met regularly for dialog and friendship, decided to sponsor a Jesuit priest’s efforts to bring at team of clowns and acrobats in a circus presentation to their campus. Over a thousand people, students, graduate students and their children and a number of faculty, administrators and the university president were present. Some faculty who did not come let it be known that a circus had no place in such a serious place of study and research. Laughter resounded throughout the performance. Cotton candy was consumed. And the president beamed. After the performance the university athletic director congratulated one of the ministers on event’s enormous success, but he added, “I can’t believe all you ministers could get together to plan and support such a joyous event.” For this man, religion is only for the individual, not at all for the common good and just possibly unconcerned with laughter as well. For Catholics the community of faith must be a school of respect and dialog lest the world of the university become consumed with merciless competition where human laughter and all the deep hungers of the human heart go unnoticed and never celebrated. By Fr. Larry Rice, C.S.P. The Paulists value the idea of collaboration in ministry: seeking out the gifts, talents, and insights of the lay people we serve and with whom we serve. In campus ministry, we have a long history of supporting our lay colleagues, and laboring along side them to strengthen the faith of university students. This collaboration, however, has generally been on our terms, and with individuals we have chosen. When that collaboration has been imposed (generally by a bishop), those relationships have been fraught. Paulists have not often sought out on our own other organizations with whom to collaborate. Generally, we prefer to maintain control of our campus ministries, apply our own models, and build our own programs. Overall, we have experienced great success in campus ministries and have developed a reputation for innovation and leadership. In the past 20 years, lay organizations have arisen to evangelize America’s university campuses. Building on evangelization models borrowed from Protestant / evangelical para-church groups, these organizations tend to emphasize a more personal relationship to Christ, a more traditional Catholic piety, and a “new evangelization” approach that seeks out marginal Catholic students more than unaffiliated / uncommitted students. Some of these organizations, in our experience, are essentially entrepreneurial: they seem to exist and function independently of the church’s structures, ecclesiology, and, sometimes, oversight. Lines of accountability and communication can be unclear; are they working for the campus ministry, the bishop, or some third party? For these reasons, we have sometimes experienced some discomfort with these organizations, and in the absence of clarity and trust, collaboration has been difficult. Rather than see the rise of Catholic evangelical groups on campus as a genuine movement of the Holy Spirit, some of us have resisted their presence or approached them with suspicion. At times our struggles to collaborate have been a cause of confusion or distrust among our students, and have resulted in factions and “choosing sides.” Recognizing that sometimes these divisions have originated within these new evangelical groups should not be an obstacle to our seeking reconciliation. The success of these groups has been remarkable, and they have captured the imaginations, and sometimes the budgets, of many bishops. They can justifiably boast of the number of students involved in their programs and Bible studies, the vocations they have nurtured, and the growth their organizations have experienced. These organizations are successful, and they are part of the campus ministry landscape. They are not going away. This raises the challenge for us Paulists to determine how we can best collaborate with them. Ultimately, our collaboration must be based in an understanding of the diverse gifts given to the Church for the purpose of evangelization. “There are different kinds of spiritual gifts but the same Spirit; there are different forms of service but the same Lord; there are different workings but the same God who produces all of them in everyone.” (I Cor. 12: 4-7) Our spirituality, with its emphasis on the Holy Spirit, should lead us to collaborate, even with those whose methods and emphases might differ from our own. Our collaboration with these many Catholic evangelical groups should be rooted in an appreciation of the Spirit’s diverse gifts, but should also remain rooted in an authentic Catholic ecclesiology, and a respect for the responsibilities given to us by our bishops. We should also work from a presumption of good will. As in so many areas of Church life, transparency and accountability are key to our flourishing. By Fr. Peter M. Abdella, C.S.P. In his book, “A People Adrift: The Crisis of the Roman Catholic Church in America” (2003), then-New York Times religion editor Peter Steinfels pressed the need for persuasive and bold leadership — at all levels — if the 21st century Church was to thrive. What this means in practice for campus ministries, especially on secular or public campuses where Paulists serve, is that enhanced levels of trust must be intentionally, foundationally, and genuinely cultivated and sustained. Well-educated, professionally-trained and inspiring clergy and lay staff need to live, work, and share faith with one another, with their campus faith community (especially the students to be served), and with the wider university community. Such a collegial spirit of trust, welcome, hospitality, approachability, and strong collaboration with laity has been a hallmark of Paulist ministry from our first campus foundation at Berkeley (1907), up through our leadership efforts in the mid-20th century national Newman Movement and the Catholic Campus Ministry Association, to present-day campus ministries. We believe that the Holy Spirit is reinvigorating us once again for today’s leadership tasks! Since today’s students are tomorrow’s leaders, the college years offer rich, often unrepeatable opportunities to explore and prepare for life — for future leadership possibilities in their hoped-for careers and families and in the church and world-at-large. We can provide a safe, hospitable environment for students to claim and deepen their emerging young adult faith. We strive to offer opportunities for strong lay involvement. These can help contemporary students not to settle for careers or goals that may be too individualistic or privatized. How gracious and inspiring are those students who aim at public service, or wish to foster the common good, or assist with the building up of the church! In an Eriksonian development perspective, ministry tools to assist students in assessing their real needs and long-term hopes may well begin with a more in-depth and robust discussion of what various university students are going through, both psychologically and spiritually. We ministers may think that all we need to do is provide the worship services and pastoral care that students ask for or want at a given point in time. But as energetic and idealistic as they may be, their own faith perspectives can also be immature, limited by their cultures or pre-college experiences. Given the wildly uneven state of their prior catechesis as well as the “new normal” sense of isolation and anxiety reported among contemporary adolescents in North America,1 campus ministry will increasingly need to play a stronger educational and mentoring role. For some students, this may well mean enriching their rudimentary understanding of faith. For others it may involve “stretching” their naïve or underdeveloped perspectives. Thus, this affects our choices in offering challenging and engaging speakers and topics as well as the way we discern and decide to fruitfully celebrate the sacraments (e.g., reconciliation, Eucharist). We commend the U.S. Catholic Bishops’ pastoral letter “Empowered By the Spirit: Campus Ministry Faces the Future“ (1985). Highlighting the New Testament ideal as loving service to the community as well as the Second Vatican Council’s call to develop the gifts of the Spirit for the good of others, the bishops commend a broader or deeper notion of vocation rooted in baptism. Thus, Christians living in various states of life share in the task of bringing gospel values to bear on their everyday affairs.2 Baptism, especially in the writings of our patron St. Paul, calls all of us to utilize the gifts of the Spirit for the common good. Thus, attention to our baptismal calling invites us not only to embrace ever more personal spiritual growth but also to consider novel forms of leadership for the ecclesial community. Effective campus ministry serves to identify and cultivate natural leaders, male and female, in and for the church. Paulist campus ministries typically utilize a variety of models for engaging and preparing students for leadership roles. No one approach fits all circumstances. Some borrow heavily from corporate or business counterparts, and may be more task-oriented in their style. Other approaches may involve a more fluid, charismatic process. Among current approaches, one can readily discern a leadership model that focuses, for instance, on the sacramental needs of contemporary students. Thus, in addition to the Mass, there would be ample opportunities provided for Eucharistic adoration, reconciliation, and multiple forms of prayer. Another approach to leadership might envision the campus ministry as a kind of “parish home away from home.” In addition to celebrating the sacraments, hospitality and welcome would be emphasized to help counter the estrangement that many students often experience in a brand new environment. A further compelling approach to leadership would promote multiple opportunities for education (e.g., speakers, panel discussions and workshops) combined with opportunities for social justice work. This work can be accomplished by direct service to the poor and needy or by proposing more equitable and humane social structures. Still another model would marshal and train personnel for lively outreach on campus so as to encourage students to “come and see,” i.e., to experience the faith community in person and address common misperceptions or misunderstandings. One model with strong Paulist roots involves a selected team of undergrad and/or grad students charged with planning and coordinating much of the student programming for campus ministry. Campus ministry staffs personally invite students into a lively, healthy experience of church. To better handle this ministry, these student leaders also receive strong Christian formation, team and individual spiritual direction and accompaniment provided by staff (Paulist and lay). This “ministry to the ministers” approach recognizes that these student leaders are likely privy to and aware of their own needs and the needs of their peers far better than staff. This model encourages them to work with their peers and advisors to advance initiatives for worship, educational, social, service, and spiritual events (including retreats). This peer ministry approach has been pioneered in the Paulists by Fr. Kenneth McGuire, C.S.P., and a number of his successors (since 1974). It is a labor-intensive approach that some may find too onerous or even too secular on first glance. Nonetheless, it is a more holistic and “home-grown” model than some more evangelical or worship-focused approaches. a practice of mercy and compassion. In all contemporary approaches, the professional ministers who supervise such campus programs will come to better understand and appreciate the ‘living’ faith of student participants as these young people explore, question, deepen, and grow in their own faith lives and as they emerge as young adult leaders in the church, now and for the future! By Fr. John Geaney, C.S.P. “Christianity does not confine itself to the reign of God in the soul; it seeks to establish the reign of God upon the earth.” These words of Servant of God Isaac Hecker, C.S.P., founder of the Paulist Fathers, touch on an important aspect of Paulist Spirituality. If we are to understand the mission of the Catholic Church at the University (and indeed throughout the world) then we must recognize the importance of spirituality in the life of Catholic believers in the 21st century. That spirituality cannot be singular and individualized. It must broaden and deal with God’s indwelling presence in our world, which if realized could change the face of our nation, its culture, and the gift it can be to our world. As Paulists involved in campus ministry in some of America’s largest universities, we believe it is our task to assist members of the University community to recognize the importance of the indwelling Holy Spirit in their lives. That principle was clear in the life of Father Hecker and also in the life of Blessed John Henry Newman after whom many University ministries in the United States were named. Hecker and Newman, separated by an ocean, lived and taught in the 19th Century. Both converts to Catholicism, Hecker was an American Church leader; Newman was British. Both were compelled by, and lived out in their lives, a transcending wisdom of the importance of the love between God and his Son, which is the Holy Spirit. Both died before their spirituality was well known. Eventually, Newman’s name and spirituality was attached to campus ministry; in Hecker’s name the Paulist Fathers followed their founder in bringing his conviction about the Spirit to campuses across the United States. Both Hecker and Newman found the fullness of the Trinity in the Catholic community. Their spirituality spoke of the depth of the indwelling Holy Spirit. Cardinal Newman lived a spirituality that spoke of living each day well in the Spirit. Hecker would clearly have noted that a human spirituality based on the indwelling Holy Spirit would create a relationship with and a responsibility to others and the world. In other words, such a spirituality is communal and social as well as personal. We as Paulists believe that had Hecker and Newman lived into the 20th and 21st centuries, they would have been champions of the Second Vatican Council whose wisdom led Catholicism to the awareness that the Church is the people of God, and has a continuing role in shaping our world. Presently, the Church is blessed with an educated laity, the type of laity for which Newman and Hecker prayed. It is also true that currently devotional forms such as Eucharistic adoration, novenas, and an emphasis on traditional forms of confession are practiced among traditional populations within the Church. However, those devotional forms are not reaching the many who claim to be spiritual but not religious, and who are not practicing the Catholic faith anymore regardless of how well their Catholic campus ministry may be administered. We cannot form tomorrow’s Catholics by holding on to yesterday’s Church. Certainly, the spirituality of Cardinal Newman and Father Hecker, which is grounded in the presence of the Holy Spirit and the continual realization of this presence in one’s life and in the life of the Church, has much to teach and guide young Catholic Christians and those searching for a life with God on campuses throughout the United States. St. Paul tells us in the letter to the Romans, “… the kingdom of God … means righteousness, and peace and joy brought by the Holy Spirit.“ (Romans 14:, 17.) If we who minister to the University community on campuses across the United States are to be successful, we must continue to recognize that the kingdom of God is what Paul tells us it is; a community of people devoted to righteousness, joy and peace. Those virtues are clearly gifts of the indwelling Holy Spirit. By Fr. Peter M. Abdella, C.S.P., and Fr. Bernard Campbell, C.S.P. 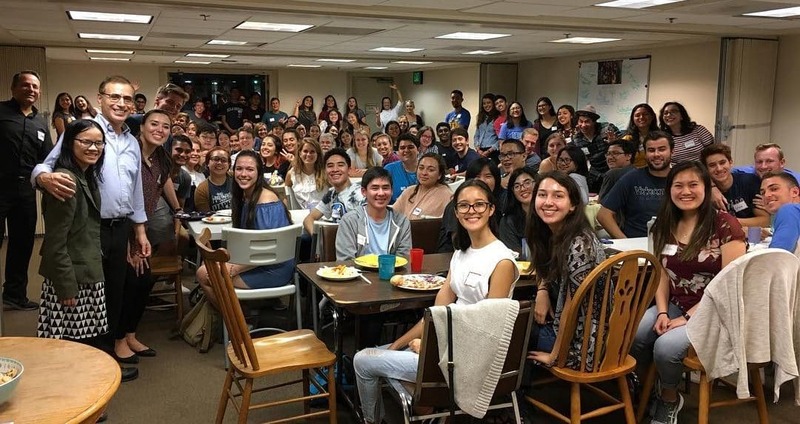 Rich notions of dialog, collaboration, leadership development, Paulist spirituality — all of these elements we Paulists envision as fundamental to reaching out advantageously to today’s young adults on university campuses. Nevertheless, we are also highly cognizant of the vast numbers of young people beyond the scope of collegiate campus ministry. While we have developed these essays specifically out of our long-standing experience of campus outreach, we believe the application of these elements similarly extends to parishes and other centers whose ministry will encounter young people looking to make sense of their lives and their futures. These young seekers — be they involved in the workplace, in long-distance education, or in two-year colleges, or even having no particular religious affiliation (i.e., the so-called “Nones”) — may also benefit from the whole Church’s consideration of the themes addressed here. We Paulists humbly offer all of these reflections in service to the wider Church in anticipation of its Synod on Young People 2018.